Alexander Martinez earned his 18th save, tying the Pioneer League record in the Grand Junction Rockies 5-2 win over the Orem Owlz Monday night at Suplizio Field. Martinez joins Michael Toney (Medicine Hat, 1994) and Andrew Johnson (Casper, 2005) for the top spot in league history. He capped four perfect innings from the Rockies bullpen, which saw Aneudy Duarte retire all three that he faced after Jared Skolnicki went six up and six down following Cayden Hatcher's outing which saw him allow two runs, one earned over five innings. The Rockies took the lead with a pair of runs in the second inning. John Cresto got the scoring started with a sacrifice fly, and then with two out, Hunter Stovall added an RBI double. With two on base, Cresto made it a 5-0 game when he slugged a 3-run homer in the left field bleachers, his seventh home of the season and fourth in the last three games. The Owlz scored twice in the fifth, taking advantage of an error and a Johan Sala triple. 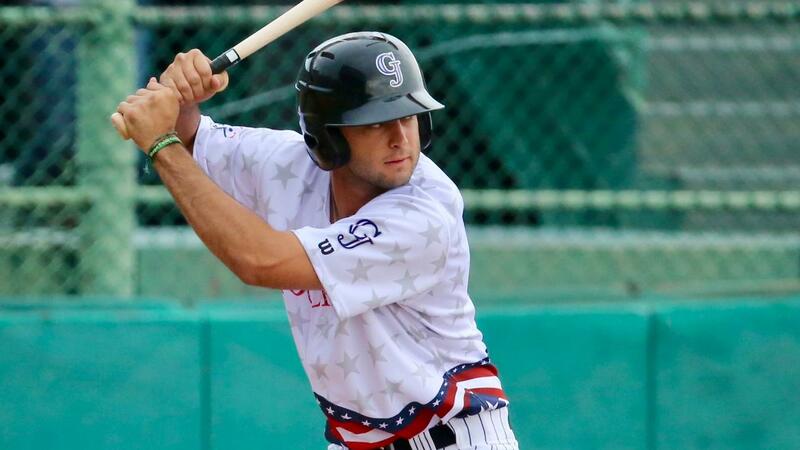 Grant Lavigne and Stovall finished with two hits, and Lavigne walked twice, giving him 37 for the season, which breaks the Rockies franchise record. The win improves the Rockies to 21-14 in the second half, and they remain one game up on Idaho Falls for first place in the South Division with three games to play. The Rockies will play their regular season home finale Tuesday night. The first pitch from Suplizio Field is set for 6:40.